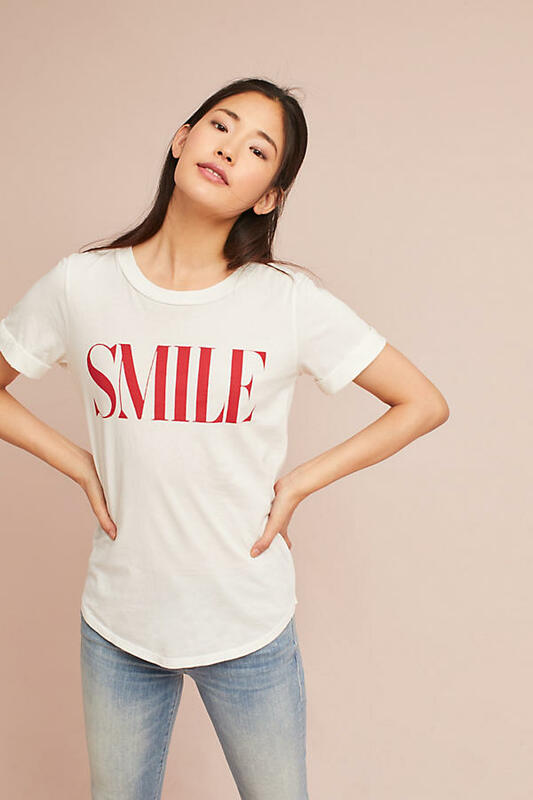 With good pair of jeans, a statement coat, your favorite gucci shoes paireed with any of these tees, you are ready to conquer the world. 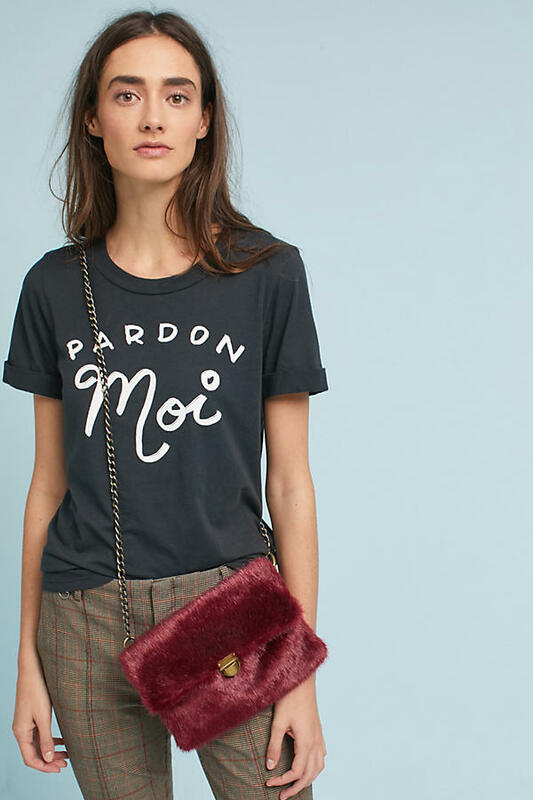 We are obsessed with graphic t-shirts/tees with french words and french phrases it gives a more personal and chic touch to your outfit without being too much or without being just a plain white T-shirt. 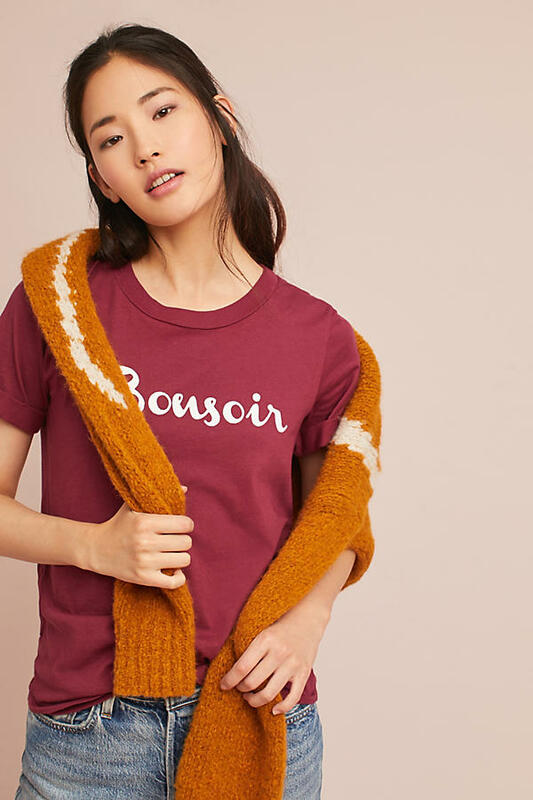 Right now Anthropologie has so many good options that we can't miss and here they are, scroll! 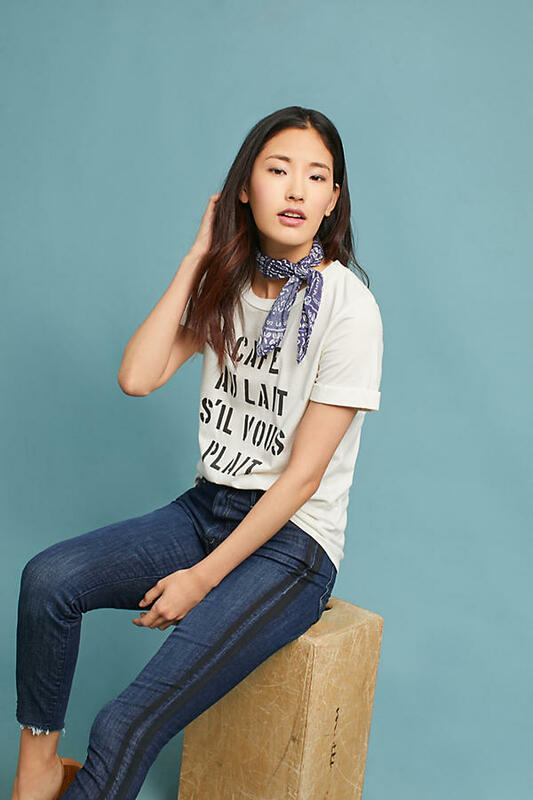 Sol Angeles Cuffed Graphic Tee $78.00 - Shop here! Sol Angeles Rolled-Cuff Graphic Tee $78.00 –$88.00 - Shop here! Globetrotter Graphic Tee $78.00 - Shop here! 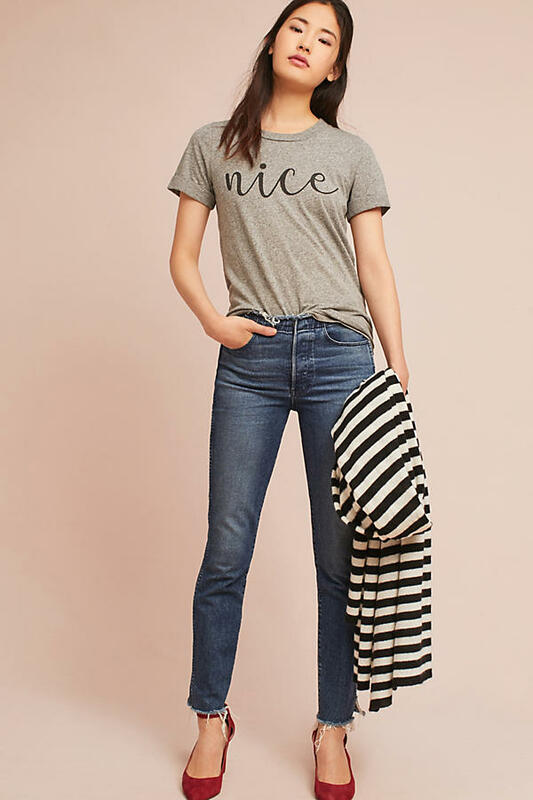 Love these message Tees. They're so casual and cool! 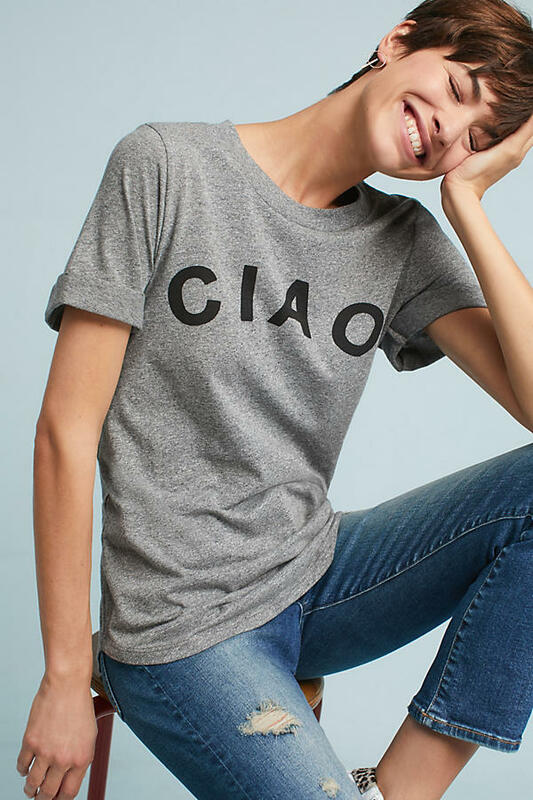 Love graphic tees, so much fun to wear!